Every day we see ceiling tiles, but imagine they hide secret rooms? In this case, they did. 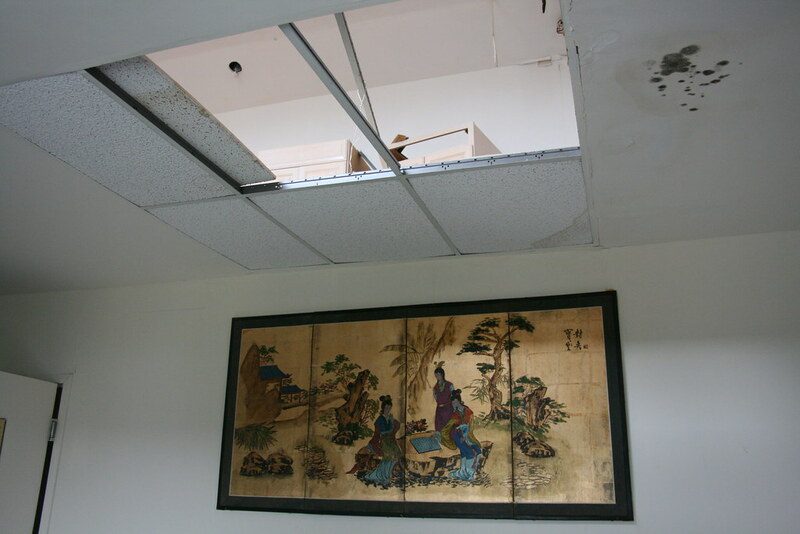 At one time, these lofts were accessible, but, given the total lack of imagination of the current owners, they decided to close off the loft, use it to store junk, and put drop ceiling in to provide a flat ceiling line. Oh, and don't forget the gaudy Asian-themed artwork on the walls. Looking at this hotel from the front makes it obvious that some rooms have lofts, however as you can see, they were renovated away and became totally inaccessible to guests.